UPDATE: Since this post, Granny has been making serious waves, by guiding her family, swimming hundreds and hundreds of miles off the Pacific coast and by generally proving SeaWorld wrong in every way. SeaWorld could be in trouble because of "Granny," the world's oldest known living orca. The 103-year-old whale (also known as J2) was recently spotted off Canada's western coast with her pod -- her children, grandchildren and great-grandchildren. But while the Granny sighting is thrilling for us, it's problematic for SeaWorld. First of all, SeaWorld has claimed that "no one knows for sure how long killer whales live," when simple figures or even living and thriving examples -- like Granny -- can give us a pretty good idea. The Whale and Dolphin Conservation project estimates that whales born in captivity only live to 4.5 years old, on average; many of SeaWorld's orcas die before they reach their 20s. Perhaps because of their reduced lifespans, the whales are forced to breed continuously and at perilously young ages, which could also diminish their overall health. Another key aspect of an orca's life -- which is missing in captivity -- is the ability to swim up to 100 miles per day. When Granny was spotted earlier this week, she had just finished an 800-mile trek from northern California along with her pod. According to animal welfare advocates, long-distance swimming is integral to orcas' psychological health and well-being; SeaWorld, however, has gone on record claiming that orcas do not need to swim hundreds of miles regularly, ostensibly to defend the parks' cruel practice of keeping massive, powerful orcas confined to cramped tanks. Since Granny was first spotted (as early as the 1930s), she's believed to have mothered two calves, who in turn have had calves of their own. (One of her grandchildren, Canuck, reportedly died at the age of 4 after being captured and held at SeaWorld). As her pod has grown, Granny has kept up with them -- without being separated through human intervention -- and traveled astonishing distances with her pod annually. Orcas at SeaWorld are routinely separated from their pods, which has been known to cause huge mental and emotional strain and can prevent calves from developing normally. Granny doesn't simply represent an impressive feat of nature; she embodies what's wrong with SeaWorld by being a living example of what's right in the wild. 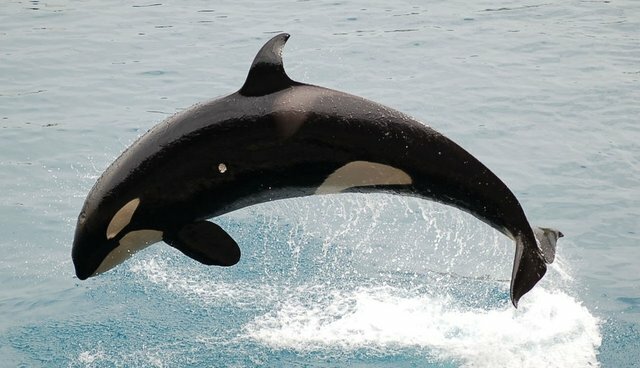 While it's true that most wild orcas don't live as long as Granny has, their lifespans are still dramatically longer than those of SeaWorld's whales (the NOAA estimates that wild female orcas, like Granny, live an average of 50 to 60 years). Their lives are also filled with much more swimming, exploration, variety and bonding with family -- in other words, their lives are likely filled with much more joy.